Kimmo Tiilikainen, Finland’s Minister for Environment, Energy and Housing, said that there is scope to increase the bilateral trade between India and the Nordic country. In an interview with Indian Express, the minister, who was on a visit to India last week along with a Finnish business delegation, said that in India, building huge amount of apartments in future would require smart solutions for sustainable urban development. Tiilikainen also expressed optimism that the India-EU free trade agreement would move forward in near future. Are you satisfied with the bilateral trade between the two countries? Not yet. I see various possibilities that our bilateral trade can be increased in future. It’s not only trade, I think that we have lots of opportunities when India sets ambitious target like Make in India or Clean India or Smart Cities Mission, these ambitious plans offer opportunities for Finnish businesses and Finnish technologies. For example, if we take energy sector, where the main focus has been so far here, Smart Grid — it’s one thing that offers possibilities. Renewable energy products, improving energies efficiencies, (in these areas) Finnish companies have found some of the very detailed problems for which they have solutions to offer. The free trade agreement between India and the European Union (EU) has been pending for long. What are your views? Finland is a supporter of free trade…there are problems, there are problems everywhere and problems must be solved during negotiations. I wish that we can take steps forward between the EU and India in these negotiations. Where can Finland help India in moving towards electric cars? The Finnish competence in this area is in battery production, charging systems. Actually, not much in building those charging stations but operating the charging systems and how it combines to the grid and how it is optimised because of the growing number of vehicles in future — it offers some kind of an adjustable mechanism to the electric system. Finnish companies are used to providing solution to cities with relatively small population, in contrast to the Indian cities. How are your smart city solutions suited to Indian projects? Every household in Finland has a smart electric meter, can it be done here (in India)? I think it can be done. Each Finnish household have safe drinking water, can it be scaled up in India? Hopefully, it can. We have advanced waste management systems and the question is if we can do it in half-a-million (population) cities, can we do it here? 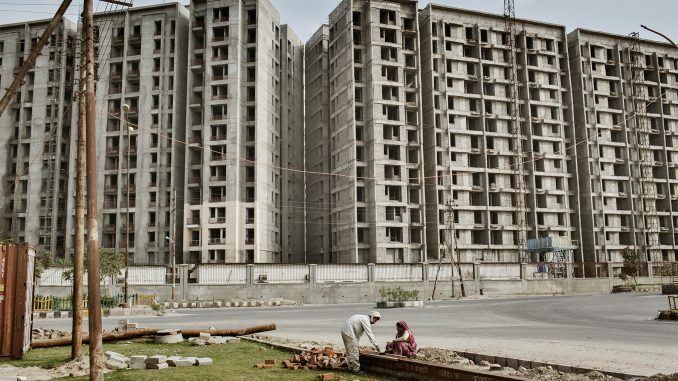 Actually, in India, building huge amount of apartments in future, many of them in smaller towns like 10,000 or 1,00,000 inhabitants, would require smart solution for sustainable urban development. So, I think that though Finland’s population is not that large, but we can deliver suitable solutions for different size of cities and construction projects. Can renewable energy be the solution for a country like India? Renewable energy is necessity for every country in the world. The Finnish government (has) decided that during the next decade, we are going to increase the share of renewables to about 50 per cent, we are going to phase out coal in energy production totally and we are going to cut by half the use of fossil oil and those are big challenges, but our government decided to do that and now we are implementing a legislation to do that, which gives a good boost for clean energy solutions. If we can do that, I am sure it can be done in other parts of the world. For example solar energy, we cannot utilise that so much in Finland than in India because of dark winters, but here it offers good opportunities — solar, wind power, bio-mass, bio fuels, bio-gas, there are many sources of renewable energy and all of them can be developed much further than what’s there performance at the moment. What are your views on nuclear energy? We use nuclear and there are some nuclear power plants under construction. Like I said earlier we have to converge to renewable but I see that nuclear power is needed for some conversion period for several decades and anyhow it is CO2 free, it has some other problems. Finland is the only country so far who has solved the final storage of the nuclear waste and the storage is under construction at the moment. Nuclear safety is one area of possible cooperation between India and Finland. How have you solved the problem of nuclear waste? It’s very deep bunker in the bedrock in the area where we can be sure that it can stay, let’s say, hundreds of thousands of years. It needs special kind of bedrock. We have natural conditions to support the solution. Do you support India’s candidature for inclusion in the UN Security Council as a permanent member We are supporting India’s permanent (membership). You have many Indian officials and businessmen during your visit. Have you made any material progress? Finnish and Indian governments have found many possible areas of future cooperation and now during my visit here we have discussed more details, for example, about energy cooperation, smart cities and environmental issues and so on. I am very happy that I have a large business delegation with me … (and) there are at least three agreements between Finnish and Indian businesses partners that have been announced.